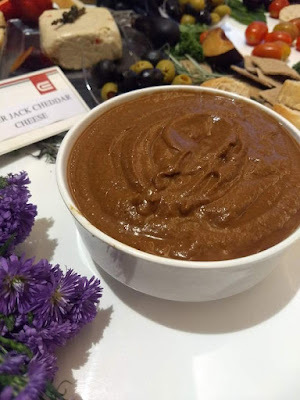 Flavours and Aromas: A session on Vegan Cheese wit Neelima Sriram... The Conscious Market! "There is no sincerer love than the love of food~George Bernard Shaw" Welcome!! I love to cook, i also love to eat, and i love to share the experiences-be it at home, or outside! A session on Vegan Cheese wit Neelima Sriram... The Conscious Market! 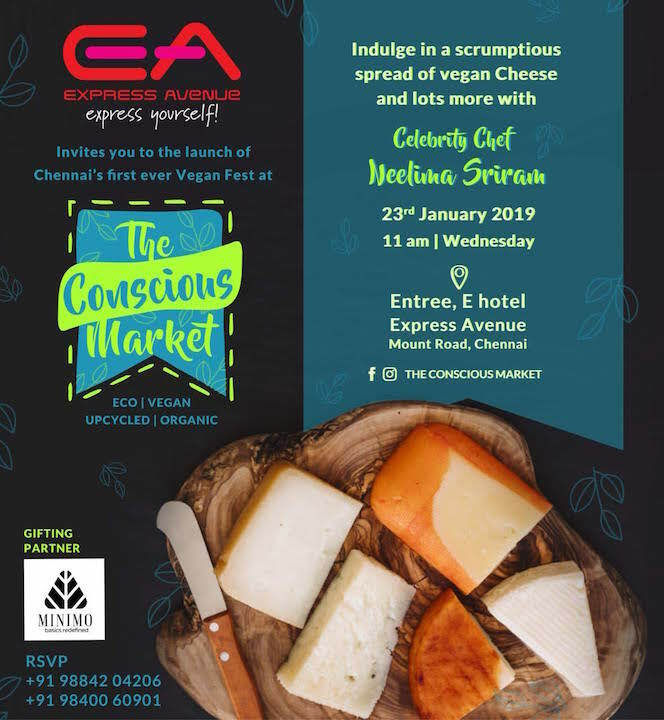 This event was part of the The Conscious Market which is on 26th & 27th at Express Avenue Mall! 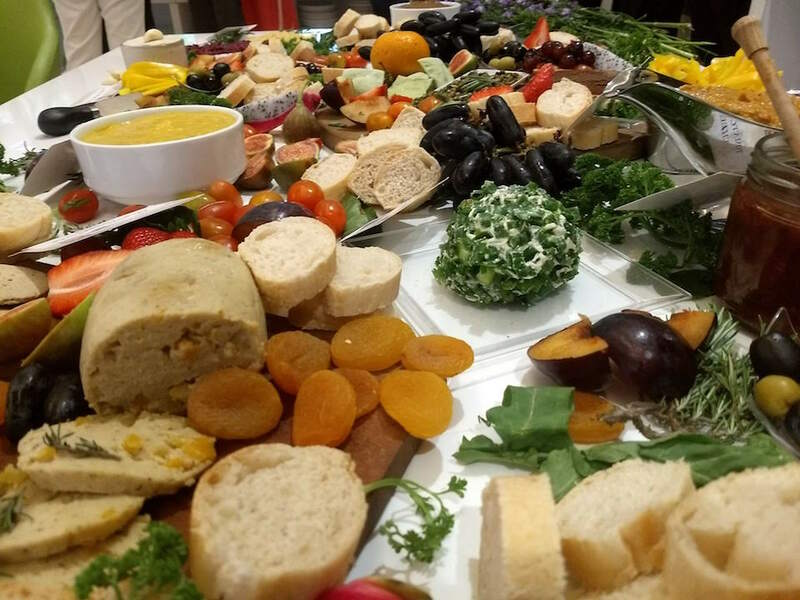 There was a special vegan buffet at E hotel, and stalls at the atrium in Express avenue mall. So, there I was with few others who had been invited sitting around a table waiting for the event to start. 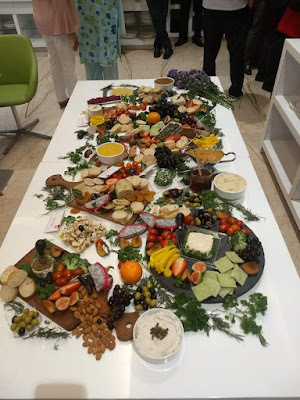 I did walk around the large table at the end that was piled with different fruits, olives, crackers and the bowls and platters of cheese [ each with a different label]. 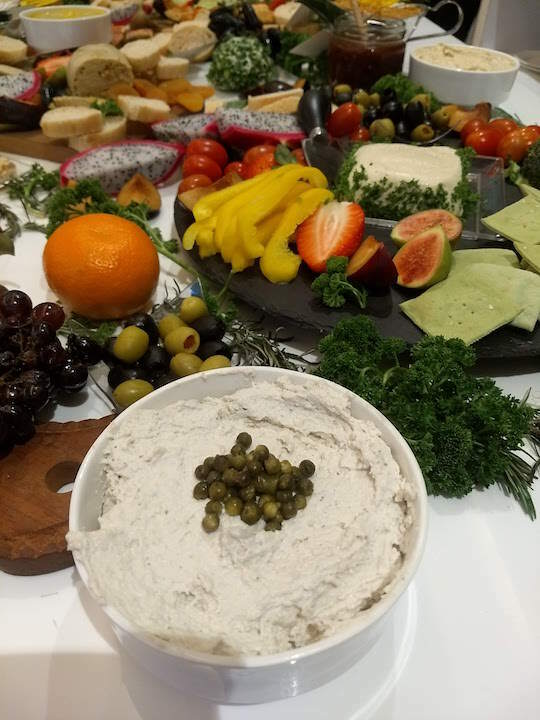 While they all looked like dips and creamy cheese varieties, I was still puzzled about the taste. 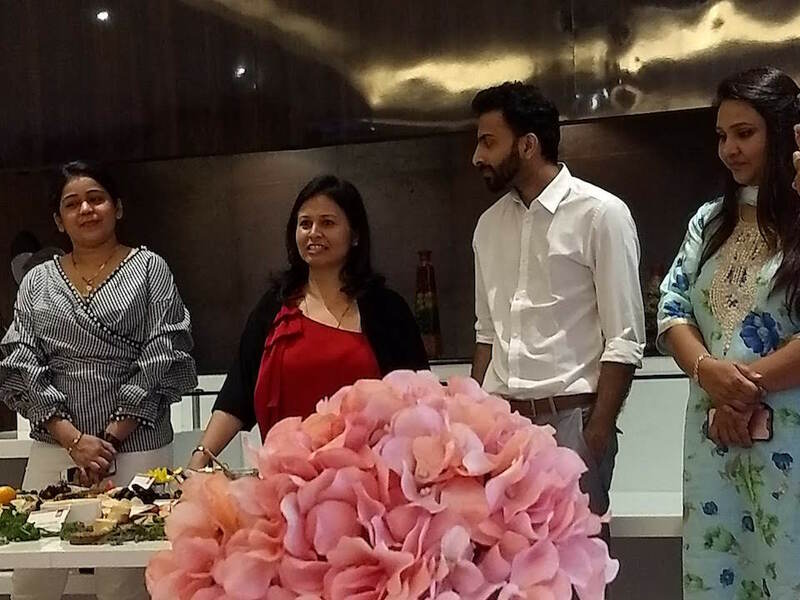 It was then that Neelima started explaining the concept of Vegan cheese and how the variations were made. So the base for this cheese is cashew and other nuts, sometimes even fruits or vegetables are used. It was quite an interesting experience. Even though the cheese are all creamy and quite nice, they arent really a substitute for regular cheese, nor can you fool someone into thinking they were. 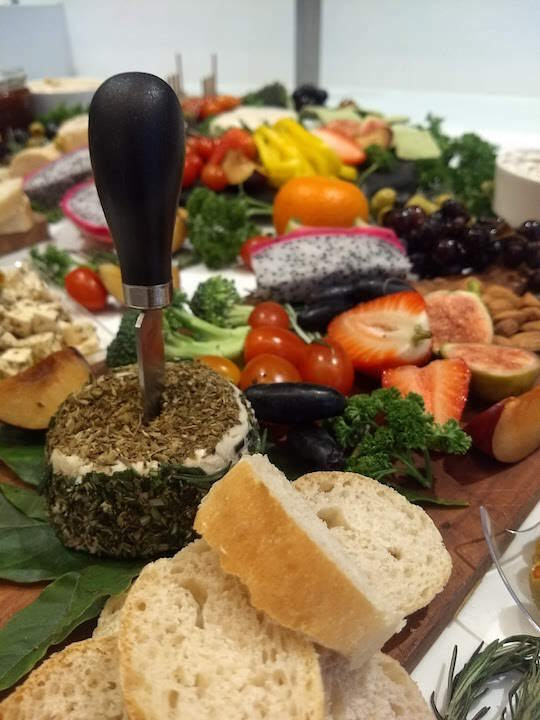 Take a look at the cheese platter and different cheeses we had... 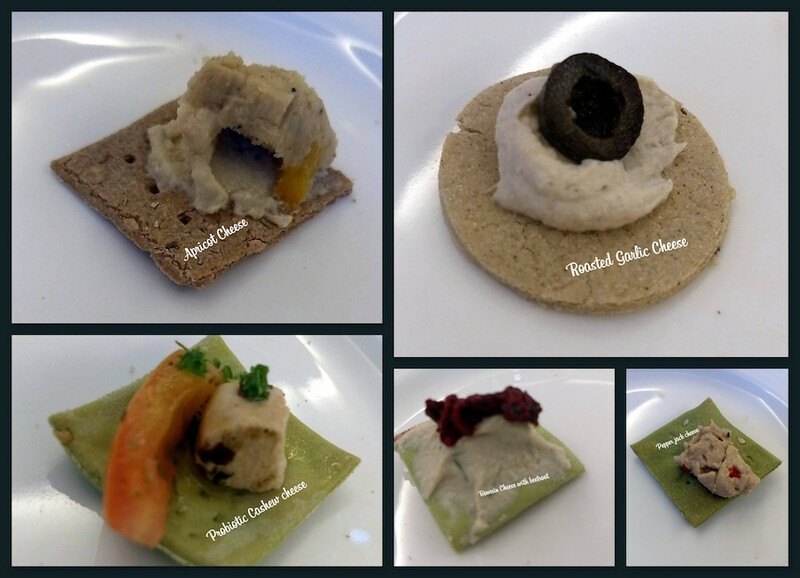 The one cheese that we did not get to taste, but I got a sneak taste of later on is the yellow in[ in the 1st picture], it was made with cashew cheese as base and blended with carrots and pumpkin. It was delicious, but felt more like a dip than a cheese. Hmmm.. i guess like everything else it is all about controlling the mind and giving new things a chance! Sprinkle some flavours so I'll know you were here!